1. 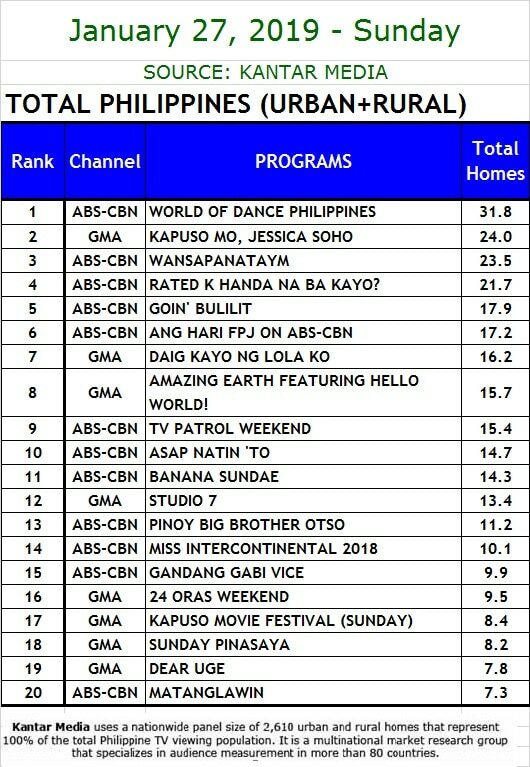 “World of Dance Philippines” ruled the weekend programming as it scored a national TV rating of 29.3% last Saturday (Jan 26) versus “Daddy’s Gurl” (16.7%), and 31.8% last Sunday (Jan 27) compared to “Studio 7” (13.4%). 2. The new series of “Wansapanataym” recorded a national TV rating of 23.5% last Sunday (Jan 27), beating “Daig Kayo ng Lola Ko” (16.2%). 3. 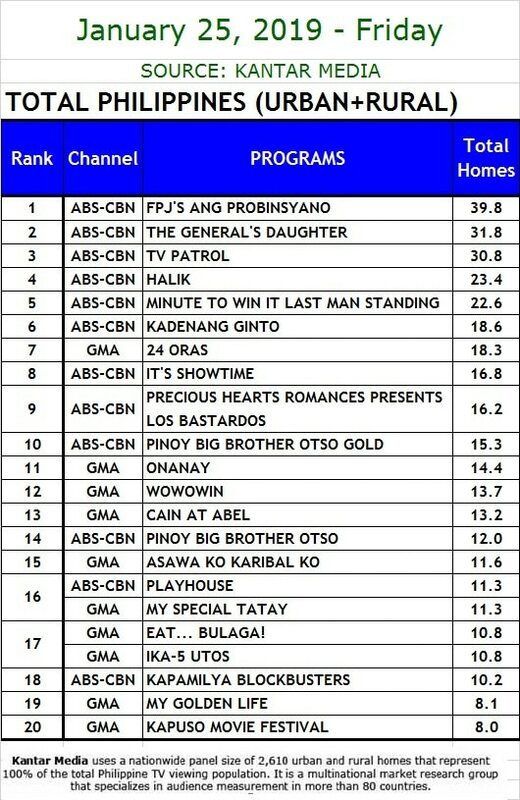 “FPJ’s Ang Probinsyano” kept its spot with 39.8% last Friday (Jan 25), while “Cain at Abel” only got 13.2%. 4. 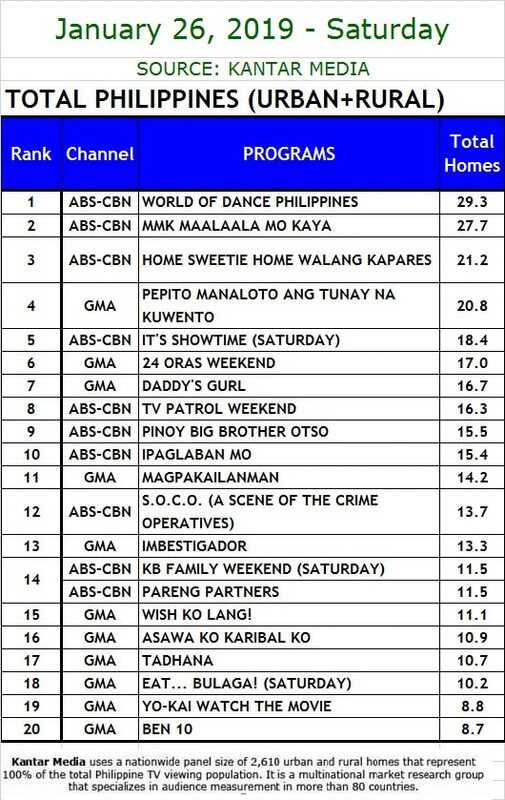 “The General’s Daughter” ended its pilot week strongly with 31.8% last Friday (Jan 25), compared to “Onanay” (14.4%).